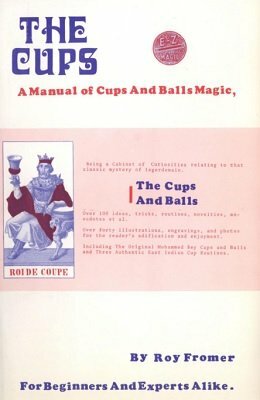 Contains over 100 ideas, tricks, routines and novelties with the Cups and Balls. Contains over 40 illustrations, engravings and photos. Includes the original Mohammed Bey routines and three authentic Easy Indian Cup routines. For beginners and experts alike. A Card Trick? Turtles?, Pool Balls?, Mentalism? 1st edition 1972, PDF 52 pages.